"We've used Images Made Real for a range of initiatives including concept formulation, creative, design and production in both print, video and digital media. Projects include advertising materials, industrial video, the design and build of the first municipal Economic Development site in Southern Ontario while the internet was still publicly a fledging channel and collateral materials of various nature. We have won a number of international advertising and promotion awards together over the years. I have and continue to refer Zlatko and Images Made Real to colleagues, and companies requiring the services he provides." 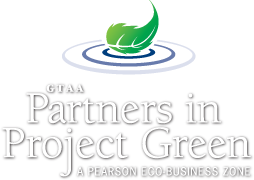 "Partners in Project Green has been working with Images Made Real to film our high profile sustainability speaker events since 2009, and I have always been impressed by their superior service, and the quality of their video production. Zlatko always makes sure the job gets done no matter what challenges we throw his way. When working with Images Made Real, I know that at the end of production we will have a professional product and excellent results to share with our business community. In this day in age, the visual medium is integral to sharing our story. We use Images Made Real because we need to know that the job will be done right, and the costs will be within our means." "I have hired Images Made Real on numerous occasions for video design and photography project. Zlatko always exceeds expectations by bringing quality, creative ideas to the project. His video production and design credentials are impeccable, and best of all; he consistently delivers on time and on budget. He is always a pleasure to work with and I would highly recommend Images Made Real for any projects that require video or design production." "I've had a working relationship with Zlatko Cetinic and Images Made Real for several years now, and I would highly recommend Zlatko for great video production, and motion design. We have always been pleased with Zlatko's work. He is a consummate professional, very organized, completely reliable. I would highly recommend Images Made Real for video production, and I look forward to our continuing working relationship with Images Made Real." Stephanie Searle — Core Health Services Inc./ Mechanisms in Medicine Inc.
"Zlatko Cetinic provides the creative design needed for every project whether big or small. Zlatko is always professional, friendly and personable, with an eye for exactly what's needed - in a field where it can be so hard to articulate what you want." Pinnacle Marketing & Education Inc.